Fordwich Town Hall now listed at grade II* was built around 1544 and over the years has served as a courtroom, a meeting place for the local council and more recently, a wedding venue and tourist attraction. However, with no disabled access to the first floor its potential use as a community and function space was limited. 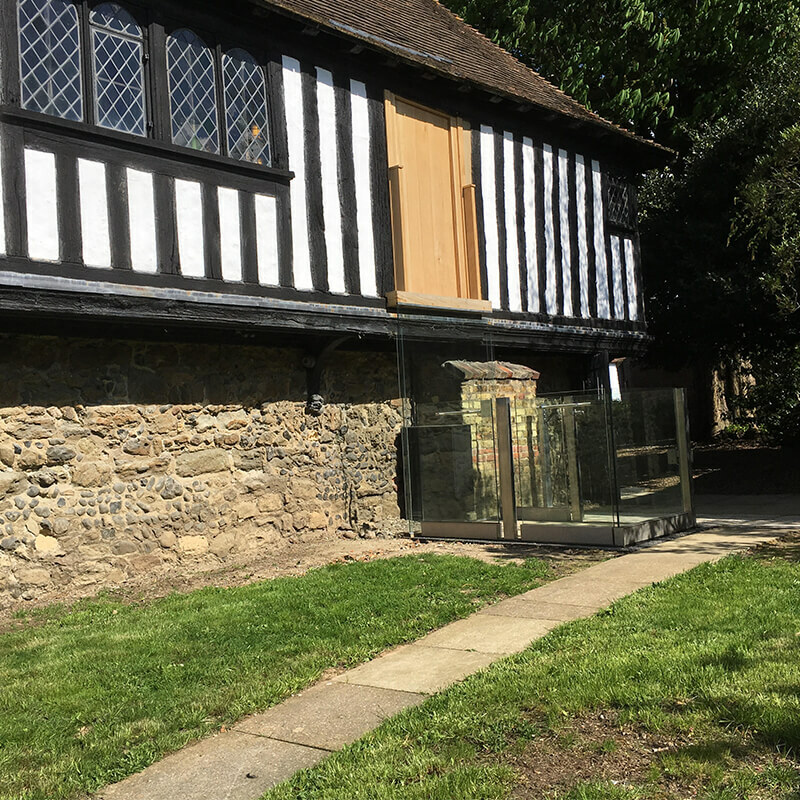 Fordwich United Charities (FUC) who own the Town Hall were aware of the challenges of creating disability access whilst preserving and enhancing the historic environment but wanted to explore the options. The charity contacted the much-acclaimed heritage architect John Sell, Sell Wade Consultants, who is also the Executive Vice-President of Europa Nostra and former chairman of SPAB. An approach was made to Historic England to gain further expert advice and approval. An archaeological study considered three options but indicated that an external lift to a newly formed doorway on the west side of the building would be the best solution, causing the least amount of harm and fulfilling the requirement of policy 134 of the National Planning Policy Framework. To create the door, three of the original external studs would need to be removed - the studs were deemed an important element of the original construction but on balance their removal would cause less harm than losing the continued use of the building as a town hall. It also suggested the use of a scissor lift to reach the first-floor level that could be enclosed with a balustrade rather than using a lift shaft. 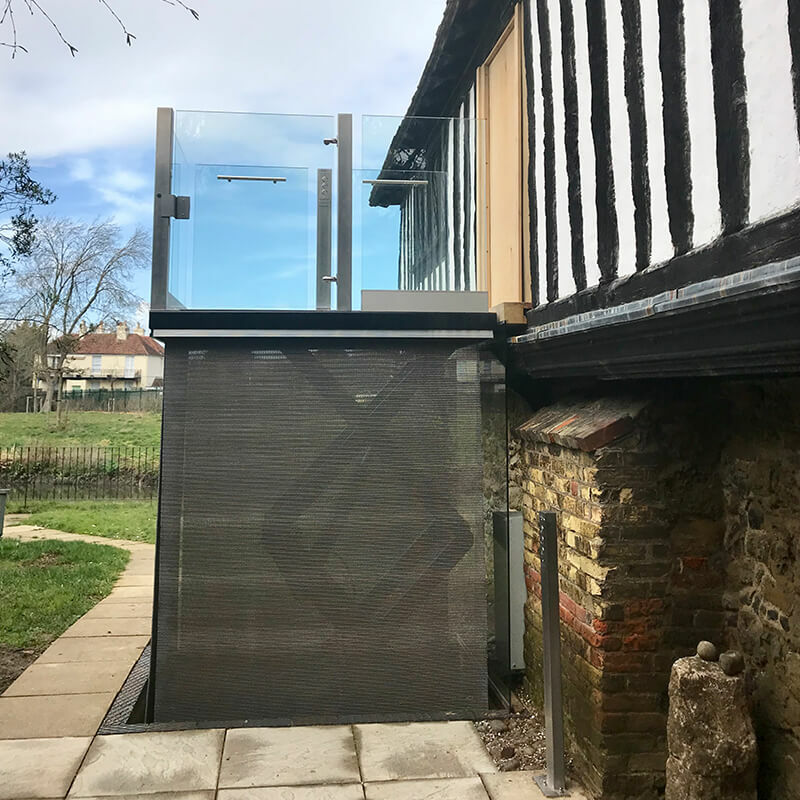 Patrick Heren, Chairman of FUC contacted the Platform Lift Company with the request for a sympathetically designed external scissor lift that would remain in keeping with the 15th century building. On the advice of the architect, The Platform Lift Company created a contemporary design. It was important that the platform lift didn’t try to replicate the historic architecture but had modern clean lines to subtly blend in with the environment without looking obtrusive. 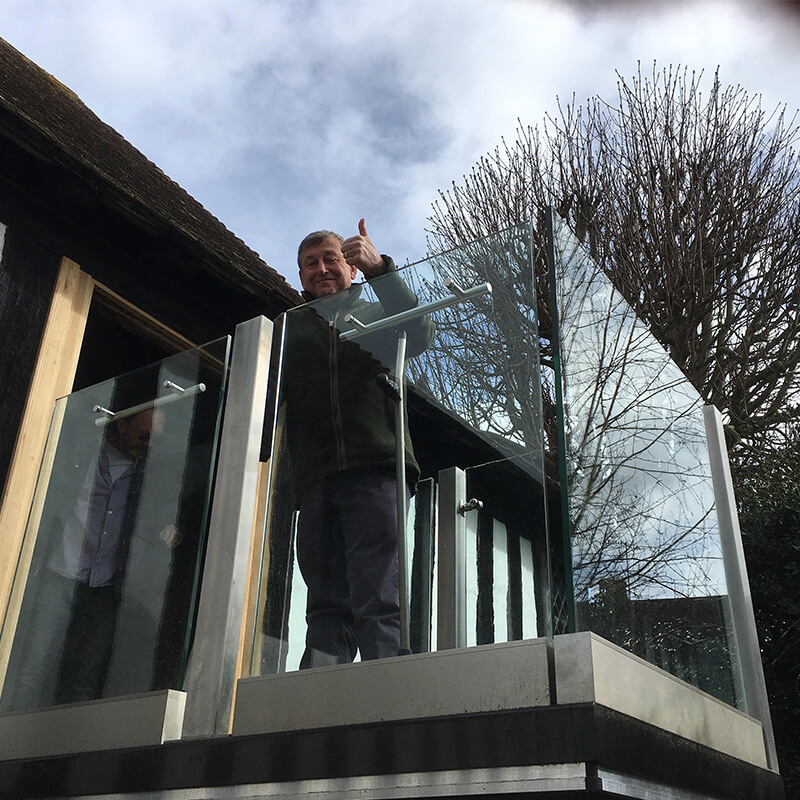 By using glass on all four sides together with brushed stainless steel the Platform Lift Company were able to create an aesthetically pleasing look to the bespoke scissor style lift. As Fordwich Town Hall also serves as a wedding venue there was careful consideration to the height of the glass as keeping it below the eyeline would make it less visible at ground level for photography. With planning approval also in place from Canterbury City Council, the installation of the bespoke hydraulic platform scissor lift could commence. To prevent any water ingress from the River Stour into the pit required for installation, the Platform Lift Company recommended hard landscaping the area around the lift instead of digging down into the ground. Another challenge was ensuring that the newly formed oak door which was being created by specialist carpenter Peter Kemp was interlocked with the lift. The Platform Lift Company were able to provide the necessary components, so the door mechanically opens only when the lift is level with the first floor. Control panels for call and send were also installed at ground level and inside the door. 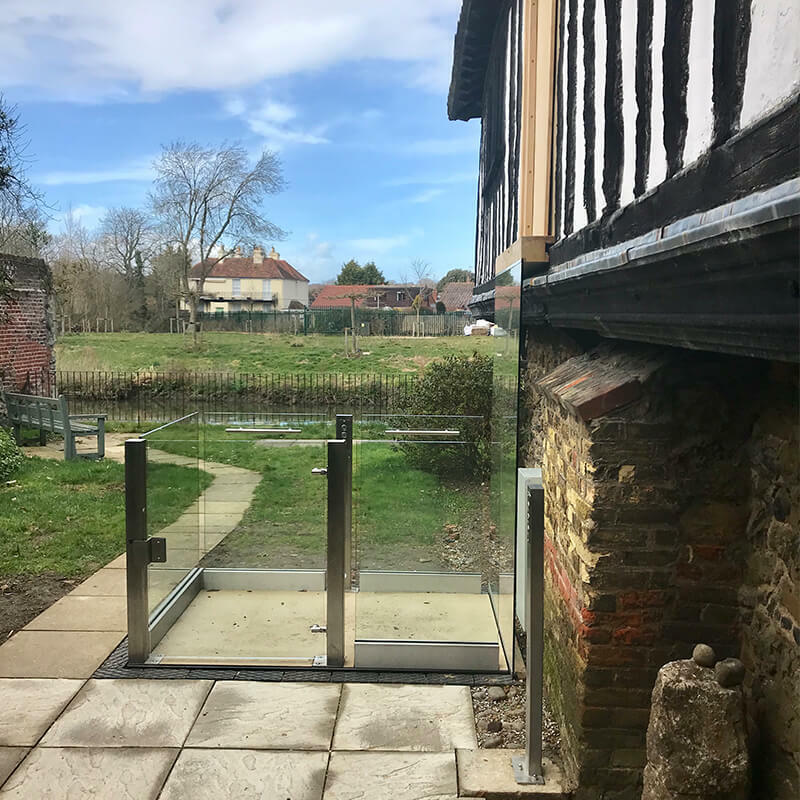 The installation of the platform lift at Fordwich Town Hall is now complete was officially used for the first time for the Town Council meeting in April. The simple yet stylish design of the lift integrates with the historic environment and has provided an effective access solution to first floor which has enhanced the use of the building. "I’m delighted by the new lift. Aesthetically its clean restrained lines fit well with the traditional architecture of the building. Most importantly, it will allow democratic government to continue in the Town Hall for centuries to come, accessible to all."